The Magic Fountain and little fountains at Maria Cristina begin work this week in winter time. From October 30th until March 27th-2016, the fountain offers the traditional choreography of light, color, music and water, Fridays and Saturdays between 19 pm and 21pm, with choreography start at 19h, 19: 30h, 20h and 20: 30h. For the autumn – winter 2015-2016 Magic Fountain starts his shows with the legendary “Barcelona” starring Freddy Mercury and Montserrat Caballé, sound and choreography combine the great successes of the 2000s and this decade, remix classical, Spanish classical music, children’s music, selection of soundtracks for movies and traditional closure • show the Song of the flag. Also continue programming additions in recent seasons remix Catalan groups, the piece “City between two blue” Friends of the Arts released on the occasion of the World Swimming Championships and the Tricentenary of Music premiered on September 11 of last year. Until 9th December , can continue to enjoy the jazz program built to mark the 47 Voll-Damm International Jazz Festival of Barcelona, ​​in sessions of 20 hours with approximately 20 minutes devoted to artists such illegal famous as Edith Piaf, Billie Holiday and Frank Sinatra. This emblematic installation of water the city receives around 2.5 million visitors a year and is an icon of the city recognized worldwide. It has a specific website, available in Catalan, Spanish and English, where you can view information such as the origins and history of the source, the trajectory and evolution since its opening in 1929, updated data on the operation, and schedules current information. ¿We said curry? This spice is an Indian flags but so are ginger, cumin, mustard, turmeric, fenugreek, cinnamon, chilies and cilantro. If something is Indian cuisine is famous for its infinite variety of spices and mixtures of these. The most famous is the garam masala (literally spice mixture), to which every housewife, chef gives his or kitchenettes. The aleatroriedad use and the fact that plat1sea Tandoor cuisine strongly supported in these family recipes is difficult to explain why the same two chickens eat curry. Creative licenses are almost endless. Broadly speaking, southern regional cuisine is fish, more spicy curries and spicy dishes; in the north and more meat is cooked like dairy. Punjab province is one of the most gastronomically rich: there are both originating naan bread as the famous Tandoor oven that gives its name to the restaurant in question. They are common use ghee (clarified butter) and coconut oil as the main fat bases. In the line following Surinder fats they have been reduced to a minimum to achieve as personal as elegant dishes. His tandoor ovens let you bring the earthy flavors of yesterday and training Tickets do with the skill and precision of today. Tests are accurate pie filling vegetable potato (neo pump barcelonetera a spicy dish does not break the Tandoor architecture contrasts) and toast with pizza soul: smoked mashed eggplant, goat cheese and tomato pulp on a fine pita bread (pulp gives acidity, spice mixture of subtle spicy house, the smoky eggplant and some beads balsamic basil oil in the set). Satisfaction is high with the extrajugoso Thigh of chicken marinated in yogurt and ginger (Parental dish that Ivan has given the lightness that requires modern cuisine: less ghee and spices); and his signature dish of lamb: the nineteenth kebab. Minced meat and pressed into a cylinder to eat with your hands, mango and avocado on a lettuce leaf (sausage texture and smoothness on the palate thanks to Tandoor mango and avocado dish, sweet and sour sauce and spicy at the end stitch). The lamb is abundant in the north, in Kashmir where the climate is extreme. Some pieces are dried and then simple and inexpensive but tasty spicy dishes are prepared. The rogan josh lamb stew is a classic Kashmiri dishes. While bringing the flavors to a new visual composure Tandoor cuisine is the northwest, which has captivated half the world with the flavors that we have more partners to country- cumin, coriander, curries, cúrcumas- that seasoned meats, cheeses and vegetables . The intense itching red and green peppers, a hallmark of much of the cuisine of southern India, they give prominence to balance the lightness and subtlety. It is in this line that Ivan moves but his grace is to soft stitches to sew ancient flavors in a dish and coordinated over them aesthetic neatness. They say necessity is the mother of this urgency and wit. Bravo for updating an ancient kitchen. Bravo for the courage to walk the difficult path between the new and the old, with one foot in the rich paternal inheritance and one on the wants of modern cuisine. 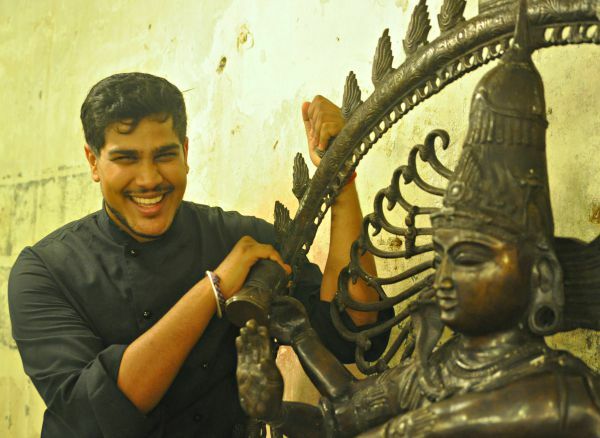 Surinder behind the hand of a great chef with a juicy future. These lines do not know if I’m going to find anything new. I hope, although many discover an excellent restaurant. Indian, to be exact. 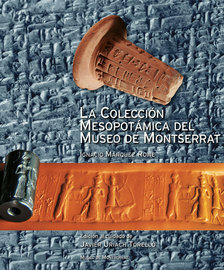 Coinciding with the difficult political, social and cultural moment living some countries now controlled by the Islamic State and that once formed part of the first great civilization in history, the Museum of Montserrat has decided to value its Mesopotamian background with publication of a catalog that, for the first time to the general public about the main parts of Spain’s largest collection of Mesopotamian antiquities. And, in fact, few know that the Benedictine mountain treasures such volume of Mesopotamian art, some 1,200 pieces, of which correspond to a thousand cuneiform tablets. “There is in the mind as a collection Montserrat you were not cataloged,” explains Javier Uriach, editor of the Mesopotamian collection of the Museum of Montserrat presented today at the Palau Robert in Barcelona in the presence of Abbot Josep M. Soler. The catalog has selected a hundred pieces, all brought here nearly a century ago by Father Ubach from the region lying between the Euphrates and Tigris rivers. “At present, marked by strife and violence in the Middle East, take a relief and a significant historical importance descriptions and photographs that Father Ubach made in these countries he will soon hundred years when there was peace,” says Father Pius-Ramon Tragan, Scriptorium Biblicum et Orientale of Montserrat. “It should reflect on how, in the 20s of last century there were all kinds of cults in the area of ​​Iraq, and now because of religious intolerance is destroying a irrestituible testimony. Lucky parts of Montserrat are saved, as that are in museums around the world, “said Uriach. Among the pieces which includes the catalog, written by the specialist in Sumerian and Akkadian languages ​​and member of CSIC, Ignacio Marquez Rowe, include the weight of a talent as the father duck Ubach acquired in a village outside Baghdad and that the monk was the most valuable work of the Biblical Museum, which he founded to offer a historical and cultural Biblical scripture (embryo of the current montserratino museum) context. Only four similar pieces are known worldwide. “Father Ubach discovered on the door of a humble home, used as nerves,” explains Uriach. Another relevant findings showing the catalog is a fragment of ‘kudurru’, a kind of monolith Babylonian kings placed inside temples. “It’s a symbolic piece, you can see, carved in elegant relief, symbols of gods or Papsukal Gula, goddess of medicine,” says the editor of the work. Among the cuneiform tablets catalog collecting herbal notes on a piece of medical science or dedicated to astronomical knowledge, especially relevant in a culture that reached accurately predict celestial phenomena. And as a curiosity, the work also shows a tablet stored within its on clay, no doubt, the ancestor of our paper charts.